Imagine you’re a property developer out to make a quick buck in, say, the 1970s. There’s a large piece of flat land you can build a town on. You may opt to put in a lot of high rises and keep everything simple in a grid layout, like Milton Keyes or throw together a patchwork of random highways and roads that ultimately cause huge bottlenecks like in Houston. Both these cities are often singled out as examples of terrible city planning. In the case of Milton Keyes it is said that so much work went into its layout that it lacks soul, or any kind of community centre (a claim thrown at Canberra sometimes). Nowadays there’s a realization that humans need more than just square buildings on a grid to live in to be happy. They need green spaces, cultural hubs, beautifully designed buildings and boutique shops as well as entertainment venues and educational facilities. They need to be sophisticated, appealing places where people actively want to be in. It’s become known as “placemaking” – a holistic approach to urban design, where every single feature is considered from the point of view of the resident. This holistic approach is being used by all kinds of organisations. Westfields are a good example, having had to rethink their design to create experiences that rival shopping online. Communal spaces give consumers somewhere to go to and relax between shopping. Food and drink outlets in particular are a crucial part of urban design; well-designed cafes, bars and restaurants will act as the community hub in a precinct. Other than Canberra, Springfield is Australia’s only fully planned master city. Only 30 minutes drive from Brisbane, the city was carefully and thoughtfully planned as a centre that would rise and expand to a metropolis in its own right. Of its 2,860 hectares, 30% of that is attractive green space. It has its own hospital, cinema, two major train stations and the magnificent Orion Lagoon, all of which are highly attractive to families and residents. Technology and education were two of the pillars on which Springfield was planned. The proof has been in the enormous take up. At the 2011 Census, Springfield had a population of 20,310. Jump to July 2016 and the population is now over 35,000. The enthusiasm to invest in major works in Springfield hasn’t died either. In February 2017, a massive $6.3 billion investment into a 10,000 apartment complex in Springfield Lakes was announced, funded by two Chinese companies and the Springfield Land Corporation. 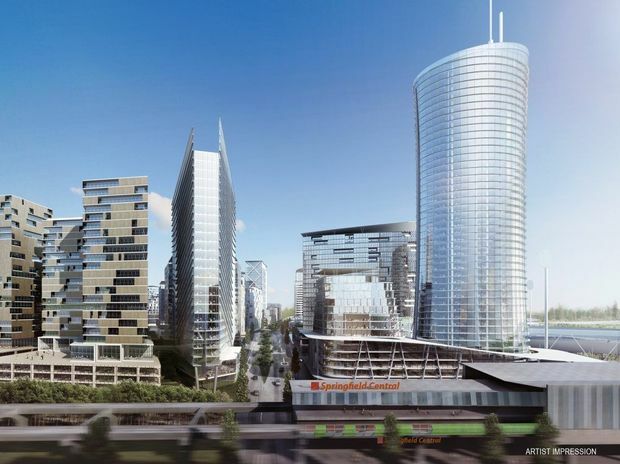 So Springfield remains a highly attractive proposition for property investors. NAB Economics has tipped Springfield to be one of the few areas to have an above average property growth in Queensland over the next 12 months. Springfield’s continued property price escalation and rapid expansion shows no sign of slowing down. Barangaroo on Sydney’s harbour is another gleaming example of careful planning and consultation. Ten years in the making, it has placed sustainability and low emissions at the forefront of its creation. More than 50% of Barangaroo is dedicated public space, making it an attractive community hub. This has been very important to Sydney-siders and when the first areas were opened in 2015, it marked the first time in 100 years that this part of the harbour was accessible to the public. With award winning designs for high rise offices and a mix of retail, parks and plazas, Barangaroo has been met with acclaim. When Barangaroo is fully completed in 2024, it won’t just be a hastily sketched addendum to the harbourside, to cash in on lucrative development. It will be a missing part of the jigsaw puzzle for Sydney Harbour. It will form part of a 14km Sydney Harbour foreshore pedestrian walkway from Sydney’s Fish Markets through to Garden Island. This is why smart urban design benefits everyone: the investors and the residents. It means that the life of the community is greatly extended as it becomes an idyllic sophisticated centre that everyone wants to live and invest in for years to come. 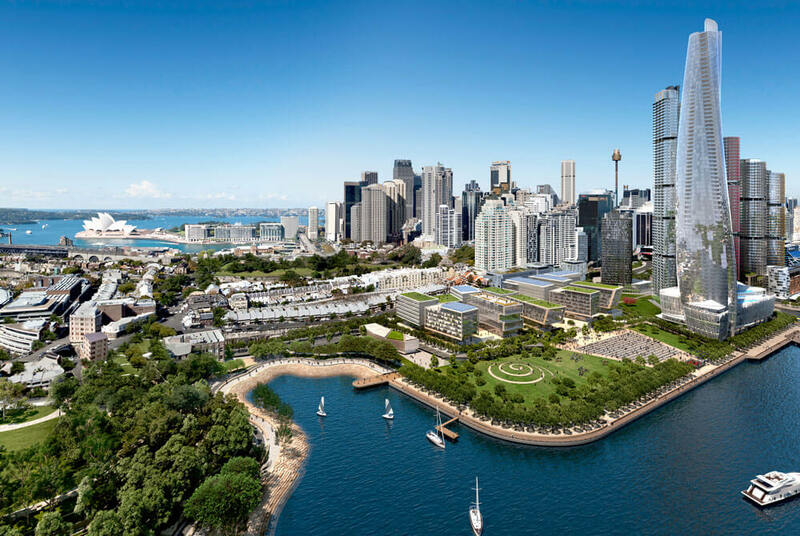 Photo Credit: "Artist render of Barangaroo, Sydney" by Citygreen Systems is copyright ©2016 and made available under this license.